JPMorgan retail analyst Matthew Boss sees the rare winners of brick-and-mortar retail pursuing two aspects that he believes are key to staying afloat during the rise of e-commerce. Owler, which has more than 1 million community members, has named Bill Kirk, CEO and co-founder of Weather Trends International Inc., as the No. 17 CEO in the tech industry and No. 32 overall out of 167,000 CEOs that it ranked. Farmers? What has minding soil and cows to do with data mining? Turns out the world's most ancient occupation, for millennia an exemplar of experience-based decisions by individuals, is now teeming with data geeks. Can forecasters really predict the weather one year from now? Weather Trends International was ranked #5 out of thousands of companies for this prestigious award. What if you had known ahead of time that Hurricane Katrina would come our way in 2005? Or that, in 2007, we'd have a completely out-of-whack year, weather-wise? Live interview on Canada's pull out of the Kyoto Protocol. wt360 CEO Bill Kirk discusses just how little snow has fallen in 2011 compared to last year. Front page USA Today story on the likelihood of a brown Christmas vs a white Christmas. Can the Weatherman Save You Money? The iPhone can't control the weather, but a 99-cent app purports to take most of the guesswork out of planning weddings, ski trips, and other shopping decisions. Is this the future of weather forecasting? Time will tell, but for now consumers can sleep a little easier after using this app to outsmart the weather. Can They Really Forecast Rain A Year Ahead? Bruce Leshan from USA9 CBS TV in Washington D.C. interviews CEO Bill Kirk on how weathertrends360.com can help reduce some of the risk when planning your events months in advance. Year ahead weather forecast could help planning trips. If they can pull it off, the single most useful travel website might have arrived. 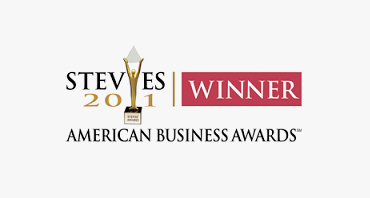 Weather Trends International won their 12th business technology award for Web Site of the year (wt360.com) in the 2011 American Business "Stevie" Awards ceremony on June 20th 2011. Weather Trends International has released a 99-cent mobile application for the iPhone that lets any user predict long-term weather patterns. Al Gore comments on wild fires in Arizona and global warming is "some of the greatest scientific fraud I think I've ever witnessed." Bill Kirk, CEO was on with Eric Bolling "Follow the Money" and former New York Senator Al D'Amato talking about climate change and the 1970s. "Ultimately, wt360Pro doesn't need to blow you away with all the visuals, as the developers know that the real draw is its 1,000 yard-stare into the future." How about a smartphone application that claims to predict the weather a year in advance? Bill Kirk on Street Signs talking about year-ahead weather and predicting Christmas weather. Introducing wt360.com a website helmed by a crack team of meteorologists/fortune-tellers/covert operatives that predicts weather patterns nearly one year out in 195 different countries, online now for your vacation scheming assistance. The private firm based in Bethlehem, PA, uses technology first developed in the early 1990s, to project temperature, precipitation and snowfall trends up to a year ahead, all around the world, with more than 80% accuracy.